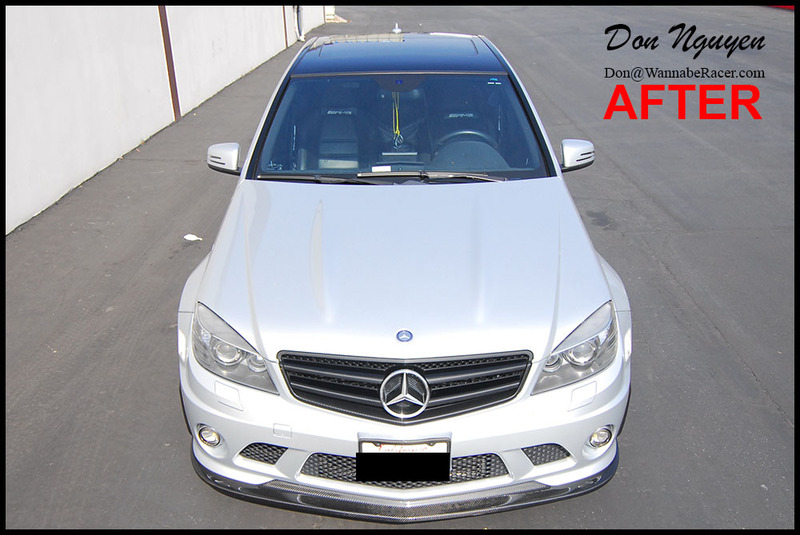 The owner of this silver Mercedes Benz C63 AMG sedan came out to me in Anaheim Hills/Orange County from Los Angeles to have me apply a gloss black vinyl roof car wrap for his car. People usually say white cars look the best with gloss black roofs, but I actually think it looks awesome on silver cars. The gloss black roof compliments the silver and other carbon fiber/black accents on the the car perfectly.